I am geeked to share, yet another, book that I have enjoyed while on a trip. 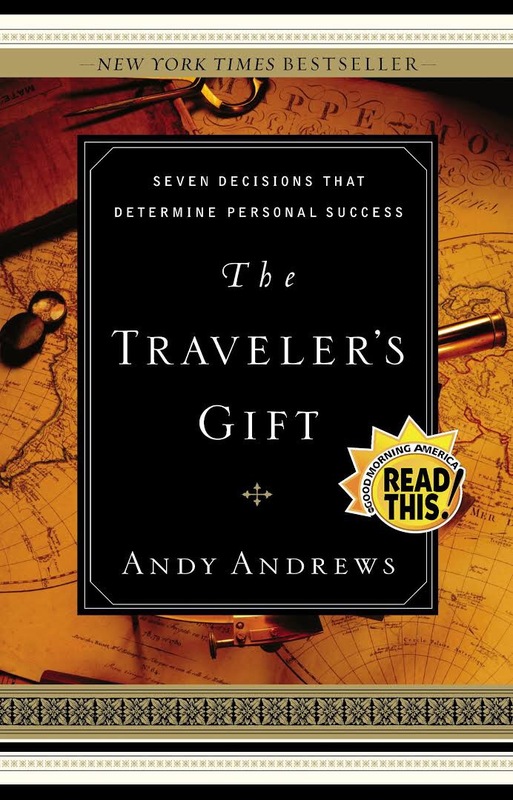 The book, The Traveler’s Gift by Andy Andrews. Jackie’s Summary: This book takes you on a journey through a man’s story while he learns 7 keys to success. The catch… the lessons being taught are from people in world history. Each person who teaches their lesson explains their experience and how they became relevant to both you and I today. I have read only a handful of books that made me truly step back, and re-evaluate who I really am, the purpose I have, and where it is I am going. No matter where you are both personally and professionally, this books sheds light to new ways of viewing day to day actions/thoughts, and what to consider going forward. Spoiler: I am going to spill the beans in sharing the seven keys, because the true value of the book is who is telling the lesson and why. As I read the book, it truly spoke to me, and although fictional made me gain a new appreciation for how heroes can be in every day people who choose to be conscious of their thoughts and actions. 1. The buck stops here. I am responsible for my past. 2. I will seek wisdom. I will be a sergeant to others. 3. I am a person of action.I seize this moment. I choose now. 5. Today I will choose to be happy. I am the possessor of grateful spirit. If you read this book, which I HIGHLY recommend, I would love to hear what you thought and which people and/or lessons best applied to where you are in your life. This is a deeper way for us to know each other. P.S. This is not a paid advertisement. I have just found that the book recommendations from those I follow and share similar desires with are generally the books I most enjoy– so why not continue to share my favorite books. ← Finding Your Inner Child- BSB!